On reworking a “finished” piece . . . Whether one thinks of the anonymous medieval monk embellishing a pre-existing manuscript, of Leonardo da Vinci working on the surface of his older painting, or of George Lucas making alterations to the original Star Wars trilogy, there is a long and sometimes controversial history of “refining” creative works already accepted as finished. I remember reading about Asian masters who thought nothing of making additions to artworks created in earlier eras. Apparently some art historians believe that halos were added to religious masterpieces much later. 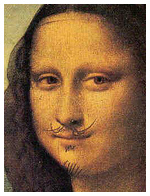 Duchamp did not draw those whiskers on the actual Mona Lisa, but he might have, had he been able to get away with it. 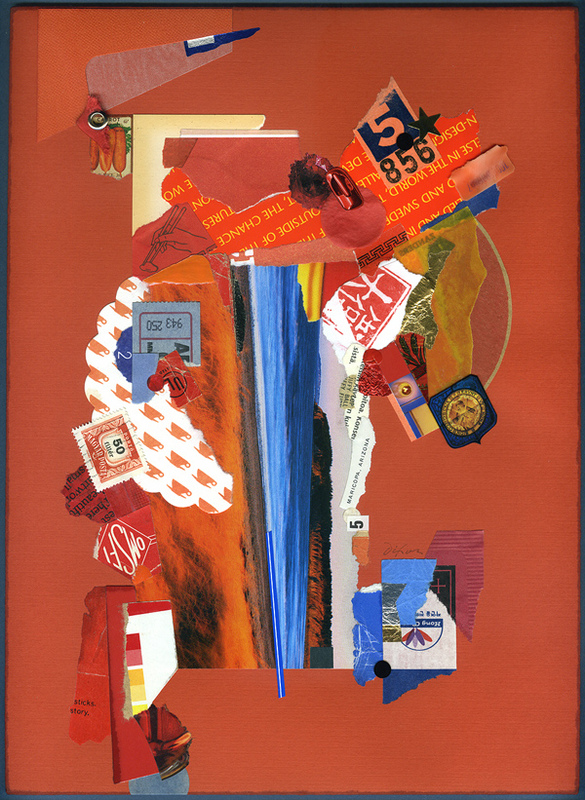 What has all this to do with collage? Perhaps our entire genre came into being with the essential hunch that worthwhile art could result from revising something in contrast to its original purpose or frame of reference. 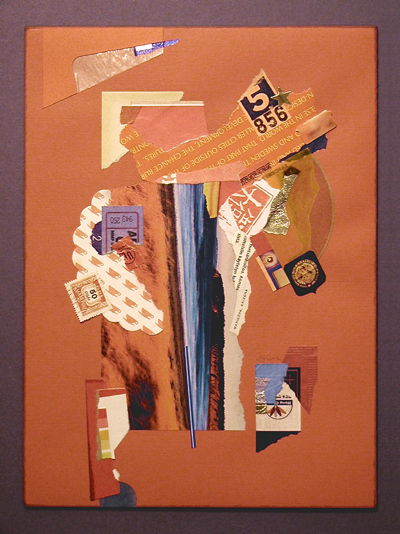 There is a wide spectrum to consider, if the subject under discussion is “altered art.” We might be talking about anchoring the concept for a collage on a singular appropriated image or transforming a mundane object into a new work of art. (L T Holmes recently shared a multi-part, personal tour of her Don’t Get Jittery On Me.) Or we might be referring to the simple idea of returning to a work already deemed complete and “writing a final chapter” to improve it. Think long enough about this topic and you may ask yourself whether any artwork is ever really done. Going back to Leonardo and Lucas for a moment, both turn up from time to time in attributions that suggest they also may have altered a version of the Valéry quotation more pithy than the poet most likely ever expressed. 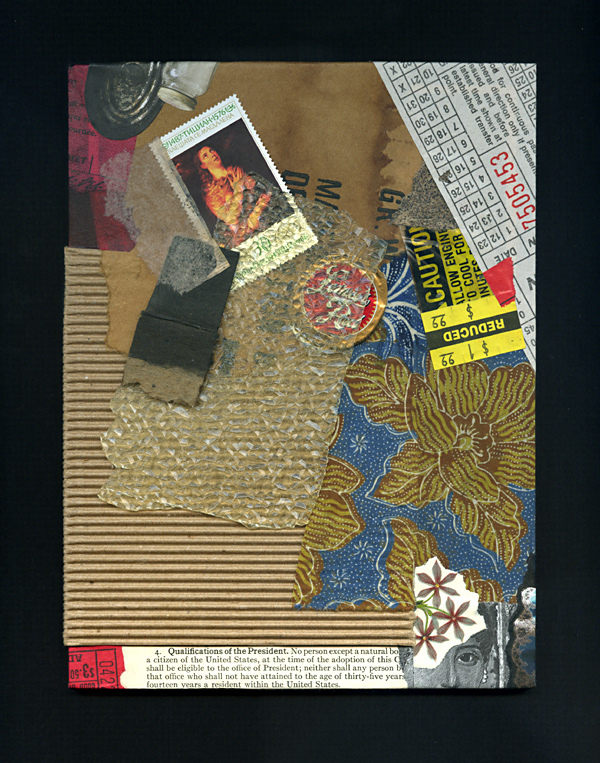 Forgive me if all of this undue rambling merely serves as an opportunity to highlight two “finished” collage artworks that I recently chose to revisit. Both examples also illustrate the complications of visually comparing two images created with different digital devices. After writing about a corresponding issue last week, I have since discovered S Caswell-Pearce’s related words from an April entry at paper with a past. My images for Rhapsody with Fever Chills demonstrate the same scanner/camera differential, although the scan of the new version is a better rendition of the artwork’s strong complementary effects. 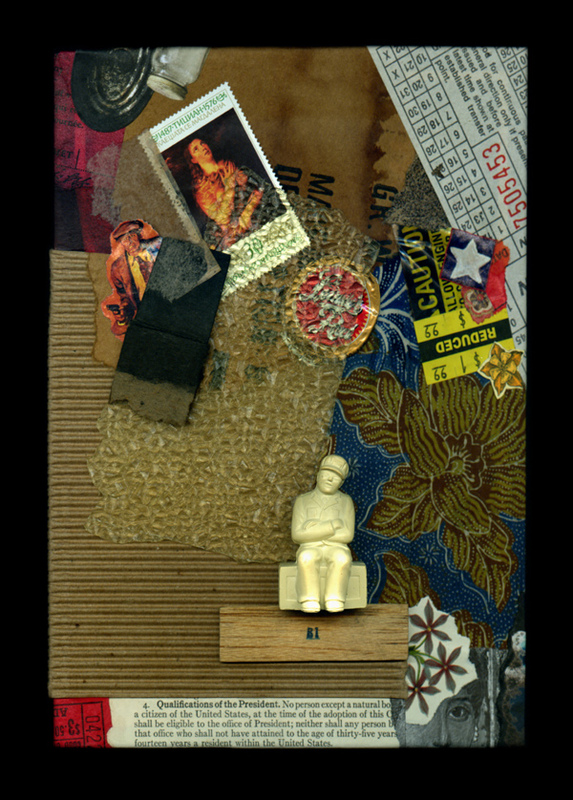 (This piece is currently on display with the “Seeing Red” exhibit in the McKinney Conference Center at Kentucky’s Constitution Square Historic Site.) The digital documentation of a revised Broken Qualifications, having shared the original version previously at this site, became a bit more challenging the second time around, given the addition of three-dimensional ingredients. At any rate, neither piece had ever felt fully resolved, although I had no specific plans to “reopen the case” until I made a broader reassessment of my inventory. Did I enhance them, ruin them, or just squander my time? You be the judge. 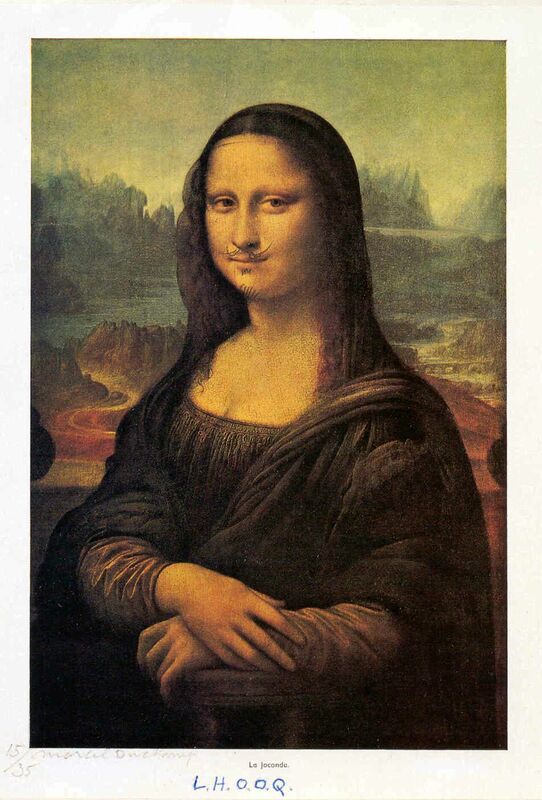 You are currently browsing the archives for the L da Vinci category.